and make more money than ever before! We have a coaching program that takes you, step-by-step, from where you are now to a very successful mental health practitioner... and at a reasonable cost! 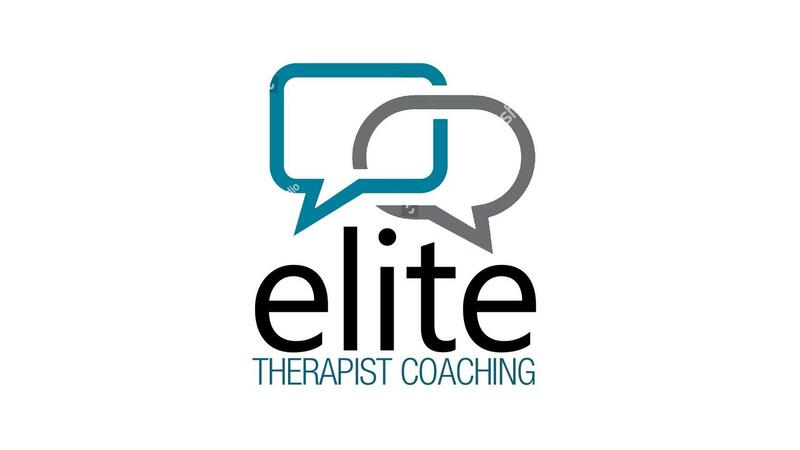 We are the largest coaching program in the world for mental health therapists! We have coached well over 300 therapists to new heights using our system and coaching program. A single therapist in private practice and trying to get new patients and build a full practice? Well, we have a program specifically tailored for you. Practice Starter Program: If you are thinking about going into private practice, our Practice Starter Program is the best of its kind. We have a wonderful program over thirty video and 30 audios along with a 128-page manual with step-by-step instructions about how to get into practice successfully. Couple that with personal coaching and all our other benefits and you’ll find yourself very successful. Single Therapist Program: This program is designed for the therapist in practice by themselves or the therapist who owns his or her practice but practices with others. It concentrates on getting more new patients and increasing your revenue so you make more money. Multiple Therapist Program: This program is for larger practices. We work with practices who see over 150 new patients a month and have 10-20 therapists. This program is for both the therapist who want to stay a full-time therapist as well as those therapists who eventually want to concentrate more on building multiple practices or spend less time in the therapy room so they can concentrate on marketing and build the business side of the practice. To really grow... that is... to get the best possible results, you need a complete program. Some companies concentrate on just social media or just website design. That is a very small part of your success. As a private practitioner, you can only build your practice in 4 ways. Anything else you do to build your practice is actually... wasted time! NEW PATIENTS. Let’s talk new patients. We have a wonderful internet presence program to increase your number of new patients. We also show you all the non-internets new patient ideas. PATENT VISITS. Regarding building your regular patient numbers... we have two specific office procedures which will add more patient visit than you can imagine... and they are very simple to do. Anyone can do them. The same is true of providing more services and improving your collections. We will teach you ways you haven’t ever seen! Practice Evaluations. You will fill out an extensive questionnaire and I will send you a written plan of action. It is a personal plan of action which will take you from 3-9 months to complete. We will work together. Group Video Calls. We get together every week and discuss a growth topic. We are face to face on computer... Of course, you can listen by phone if you prefer. I talk to you and you talk to me. We keep our groups small... usually around 8 people. I stay on the line until every question has been answered. We become good friends and have a great time. We laugh and joke, but we always have a good time. Personal Calls. Once a month, you have a personal call with one of our consultants. If there are questions you prefer to ask in private, this is your opportunity. On Demand Coaching. I give you my personal cell phone number. You can call any time during the day and even into the evening. You can’t get more personal than that. Website. You’ll have access to our private, client only website. It is a huge resource with dozens of videos, all the forms you need, contracts and agreements and much more. Virtual Seminars. In the spring and fall we hold our virtual seminars. This is a new concept so listen carefully. The Therapist Consultants staff and I give a ½ day seminar by video. We have a three-camera professional shoot. You can watch on your big screen tv or by computer. The second half of the day we stay on the video conference line and answer questions as you plan your next quarter. Live Seminars. We become good friends over the year, you’ll meet people online that you would like to meet in person. That’s where our live seminar come in. We get together in Florida in the winter and in the Midwest in the summer for a two-day seminar. We have classes all morning and group social activities in the afternoon. They are a great time of growth, fun and laughter. What does all this cost and how long is the program? Well, now that much of it is online, it is a small fraction of what it used to be. We used to charge $395 a month for three years. Then as we put more on line we lowered it to $275 a month for 3 years, but now we charge just $147 a month and there is no certain length of time or contract that you sign, although we expect that you will stay with us for at least 12 months to complete the first module. $147 a month, that’s one or two patient visits a month. It is nothing compared to your growth. It is money well spent with nolong-term commitment. You can join right now. Just click on the “BECOME ELITE” button. You need to do it now. Just think. Where else could you get this much for this little? All for just $147 a month and with no length of time commitment. You’ll get into practice quickly and if you are already in practice you will grow just as quickly! What would another $100,000 a year take-home pay do for you? Are you ready to make the move? If so, join today and you will receive an immediate email with your username and password for our website. You could be watching your first training videos in the next 10 minutes and you could be on our next weekly video call. We will also give you a welcome call and help you get started. This is not some binder program. You are never left on your own. We are live by phone anytime. Join now at just $147 a month and you ‘ll be on your way to a bigger practice. And finally, if you are ready to join but have a few questions first, call us at 918-286-2511. Join our Elite Coaching program today. We would love to visit with you in regards to our Membership! You can Call 918-286-2511 or submit your information below and we would be more than happy to contact you!